Why waste a lot of time searching for the best slot games for the iPad when you could be playing these games instead? Today, we are about to make your life easy by giving you our top five free online slots for the iPad available on the AppStore! If you enjoy playing free casino games, you will love them even more on your iPad. The iPad was almost designed for online casino game lovers with the many free iPad casino slot games available to be played from the palm of your hand. Many people feel that playing free slots for iPad can be even more fun than playing on your computer, even if you are at home. Many slot games for the iPad feature some amazing graphics, and unlike on your computer involve touch-screen play which is more interactive than just using your computer mouse. With literally hundreds of free casino games for the iPad available, it can be difficult to choose which one is best for you. There are many great games you can try out, but there are certainly some duds you will probably want to avoid as well. Best Free Casino Apps for iPad in 2015: the Top 5! The 29 – in – 1 Casino and Sportsbook is powered by gApp Technology, and just as the iPad casino name sounds, offers you a huge variety of 29 iPad casino games in just one app. The iPad online casino has some great titles on tap including Fishing Slots and Baseball Slots. Additionally there is a wide variety of video poker and table games which you can risk your virtual money on. For those of you that love sports, you should love this app since you can wager on your favorite teams without the risk of losing your own money. The Slots Casino 1Up Slot Machine is the perfect companion on your iPad if you absolutely love slots. With over hundred different slots to choose from, you should be entertained for hours on end with all the great games you can play wherever you are from your iPad. The free iPad slots at this casino should satisfy any slot machine enthusiast with many of the games featuring expanding wilds, sticky wilds, progressive jackpots, multipliers, mega blocks, free spins, bonus games and more. If this was not enough, the app creators, WinCity, promise to deliver to you a brand new slot each and every day! This means you should never be short of entertainment with this free iPad casino app. Also, unlike many other casinos, you are provided a healthy 1,000,000 virtual chips to start you experience with more daily and 4-hour bonuses always around to top you up if you run short on chips. This means it is unlikely for you to go broke quickly with your virtual money and feel compelled to buy more virtual chips via in-app purchases. 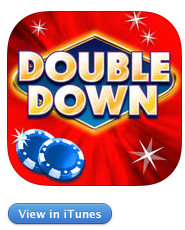 DoubleDown Casino might be a familiar name to you as they are one of the top free casino game platforms available on computers. 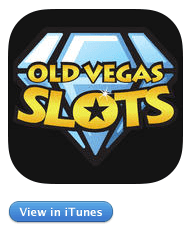 The same great casino is also available to you to visit by downloading their free iPad app from the iTunes store. What’s great about DoubleDown Casino isn’t just the more than 40 games you can play, but the fact that if you also enjoy playing casino games on your computer, you can sync up your account through Facebook. This means you can play under the same account on your computer while at home, and on your iPad when on the go. Another reason we recommend checking out DoubleDown Casino is its unique daily slot tournaments. If you never had a chance to play in a slots tournament at your local land-based casino, they are even more fun than just playing slots with a frenzy to try to win as many chips as possible in a limited amount of time. At DoubleDown Casino, slot tournaments feature huge progressive jackpots, while being able to compete against players from every corner of the globe. Slot machines have evolved throughout history to provide more interactive features, while also taking away the fun of spinning the wheels manually yourself. If you want to head back in time to when you can actually insert coins into the slot machine, we recommend you check out Old Vegas Slots. This free iPad casino app made our list not because it has all the latest gadgets and features, but does a tremendous job in reliving the days of slots machines from years ago. Old Vegas Slots was designed specifically for you if you like the look and feel of manual mechanical slots with Las Vegas style pay tables. 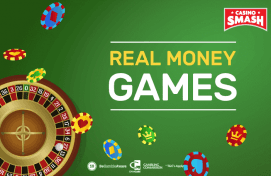 While it is true this online casino app lacks any modern virtual slot machines, it does provide a few unique features including real-time tournaments rewarding bonus credit prizes. Additionally, DGN Games, LLC, the app creator, is dedicated to frequently introducing new games. 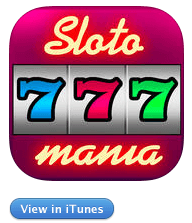 Slotmania is the home to millions of players worldwide featuring over 90 different video-slots. This free iPad casino app is recommended to anyone that wants perhaps the best social gaming slots experience available today. If you have friends that also enjoy video-slots, you can easily send gifts so they can further enjoy the amazing and fun games. Our favorite slot at this casino is the Elvis slot, since it is hard to think about “the King” without thinking about the bright lights and amazing atmosphere of the gaming capital of the world, Las Vegas. Another great feature about this casino is that they do not give you access to all the games at once. While at first this might seem like a negative rather than a positive, it does provide an extra bit of satisfaction each and every time you are able to unlock a new game. 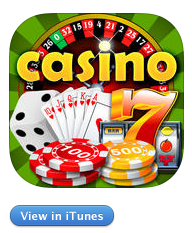 Do you like to play casino games on your iPad? 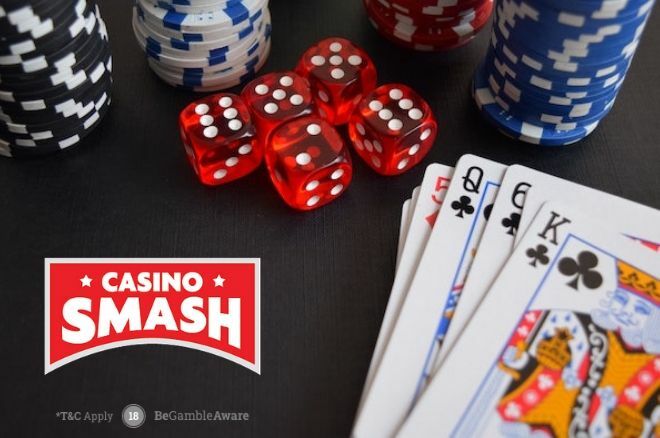 Here on CasinoSmash we host a selection of some of the most popular online casino games for iPad in the world, all available for free right here on the same browser window you are using to read this article. Head to our casino reviews section, browse trough all the different games in there and have fun playing with the best online slots around. 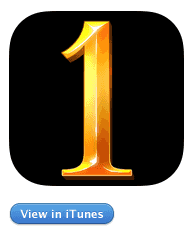 After all, who said you always need to pass by the AppStore to find the best casino games for your iPad? Bonus info: terms and conditions apply to the offer. If something isn't clear, have a look at our review of Casino Room for the T&Cs in full. The offer on this article might have expired by the time you read it. Please refer to the review pages for the latest bonuses and promotions available.